Thank You Mr.low For your Help Over My Case. Much Appreciated and everything went smoothly. Thank you once again ! Highly Recommend. Thank you for helping me for my case. Everything was smooth and faster than I expected. Thank you for your time Mr Low ! Highly recommended ! Mr Low is definitely the lawyer to go for if you’re seeking help for your cases. He is very knowledgeable and quick witted, i am so glad i got to meet him and also being able to see how he gathers the information from his clients and defend for his clients to the very minimum sentences. Lastly with his past background as a DPP, you can trust his judgements in terms of what sort of consequences someone has to face so as to get the client more self prepared and ready. Thank you once again Mr Low, will definitely introduce to friends that may be in need of help. I would like to say thank you for helping me on my case of 2018 Oct, Regarding Of my family matters . And it is a last minute court order to have a lawyer to stand in . I’m so luck to have you as my lawyer to handle my case. I do appreciate what have you done for help me to resolve the case . Once again Thank you & Wishing all the success. Mr Low. 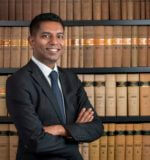 Mr Low recently represented my brother in court and I feel extremely fortunate to have met such a professional, efficient and capable lawyer like him. He is exceptionally caring and empathetic towards the situations of his clients and I can tell he puts in his very all into everything that he does. Mr Low is a lawyer that gives you a great sense of assurance and confidence and at the same time, would not deliver you a false sense of hope. So far, having came across many other lawyers, Mr Low is the lawyer that mesmerized me the most due to his extremely diligent and meticulous character. His service is really tip top! With his strong dedication and intellect, I’m sure he will be able to help a lot more others and I must say, it is indeed is not easy to come across such a respectable lawyer like Mr Low. I’ll definitely recommend him to anyone who is in need of help. On top of that, I really feel he deserves the title as the best criminal lawyer in Singapore! Dear Mr Low, on behalf of my family, thank you so much for your help! Hi sir im happy with the sentence . thank god to have a lawyer like u. hope one day u will be famous and known to people who you can help out . Great service ! Mr Low Chun Yee recently represented me in a real estate transaction and it was quickly evident through working with her that she is knowledgeable, experienced, and respectful. During the process Mr Low spent ample time with me to walk me through the process and ensure that we understood what was expected of me.I highly recommend Mr Low Chun Yee. Thank you so much for your guidance and help with my legal troubles. Your kindness and support were so greatly appreciated when i needed it most. Than you again. I initially had difficulties and financial problems to fight my case. I was adviced to apply for legal aid services to engage a lawyer. 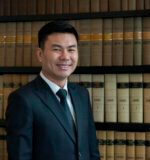 As the application processes and successed, i was appointed Mr Low Chun Yee in kalidass law coporation. He had fought the best and the least of punishment for me and had also adviced me on certain things i have to be aware of. Mr Low is also a firm person who believes that everyone deserves a chance and also firm to the law. To his appeals, i have a better chance now to live in a better way. To that , i hope that he will be the best and trustworthy for engaging him to fight for cases. Mr Low was appointed to represent me for my case through CLAS. A very patient person and gives the best advise from his past experience as an ex-prosecutor. Which is also a reason for me to prepare myself for the judgement of the case i was in. I would also say that he is highly recommended because of his professionalism. A lawyer who will never give you false hope. 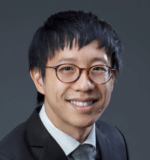 Mr.low chun yew was assigned to me from CLAS he is a very professional lawyer I met so far he understands what client’s needs and analyze legal issues and provide important guidance to the best outcome he has achieved. I’m very thankful to him and will continue to recommend him to my social friends and share around with such a great talent lawyer with so much passion on his Career. Hired Mr Low as a criminal lawyer for my case. Would say that he is experienced, professional and helpful. Having been on both sides of the table he is a lawyer that knows what to expect from the judges and prosecutor. Mr Low Chun Yee was assigned to me through CLAS. He is a very confident lawyer and he gives excellent advises through his experiences as a ex-prosecutor and a lawyer. He does his job professionally, and he is definitely a lawyer that you can rely on. I have recommended him a Friend of mine, and will definitely continue to do so. I met Mr. Low when I had a case and I applied for the legal aid, and Mr. Low took my case with no fee. I’m very thankful that Mr. Low was willing to help me with the case. Mr. Low is a very professional and good lawyer, he explained my situation very clear, he supported me during the trial, and he helped me to get the lowest possible punishment from the court. I’m really thankful to meet Mr. Low and for everything he has done to help others in the process of lawsuit. God bless. 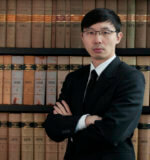 Mr Low Chun Yee was assigned to my family as the pro-bono lawyer through Criminal Legal Aid Scheme. Even though we were receiving free legal advice through CLAS; Mr Low was at all times professional, proactive, efficient and most importantly, relatable. He was able to explain all matters, however trivial, to us in a friendly manner that was easy for an elderly person to understand. I will not hesitate to recommend Mr Low to anyone who seeks legal help.